Second part of Jules Verne's history of world exploration. This part covers the 18th century. According to Wikipedia: "Jules Gabriel Verne (February 8, 1828 March 24, 1905) was a French author who pioneered the science-fiction genre. He is best known for his novels Journey to the Center of the Earth (written in 1864), From the Earth to the Moon (1865), Twenty Thousand Leagues Under the Sea (18691870), and Around the World in Eighty Days (1873). Verne wrote about space, air, and underwater travel before navigable aircraft and practical submarines were invented, and before any means of space travel had been devised. Consequently he is often referred to as the "Father of science fiction", along with H. G. Wells. 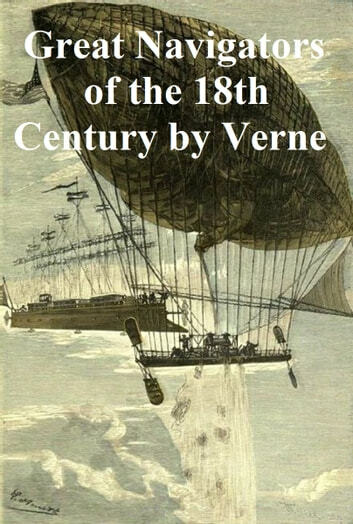 Verne is the second most translated author of all time, only behind Agatha Christie with 4162 translations..."